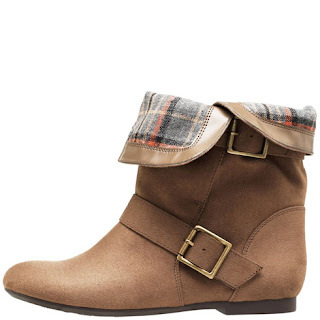 Isobella Jade's Petite Modeling Tips: Favorite Little Thing: I ordered these cute Payless cuff boots yesterday! Favorite Little Thing: I ordered these cute Payless cuff boots yesterday! I ordered these at Payless.com yesterday! Will be rocking them this fall. Buy one get one half off everything. Even though Payless's CEO resigned, I hope they don't change their improved look in recent years. For me is all about the style...and if I can wear it for more than one year, awesome!